Note: The entire process; making the decision to not be waila and cleaning my headlamps, and going to the store to get the kit, to the finish; when I started typing the word “Note-“, took 50 minutes. The pack I got was for $22.99. It seemed simple and well cheaper than @haider99’s solution. Plus all the materials were used up and there was no excess, so that was good. Plastic lenses can only be treated 1-2 times and then they will become weak. Before I begin, here’s my projector cutoff the night before. I wanted to see if cleaning the headlamps would improve it. 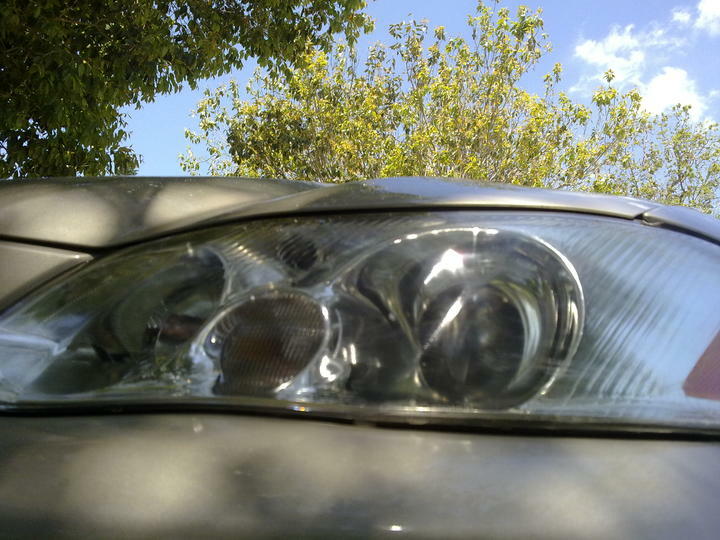 Use a spray bottle or a paper towel to wet the headlight and sand paper. This was 1000 grit. Wet sand for 3 minutes. Keep spraying the headlight so that the area remains wet while sanding. The kit came with a “CV-1” and “CV-2” pack, a micro-abrasive plus plastic polish, nothing special. It also came with a microfiber sort of cloth to wipe the solutions with. I put the CV-1 solution on first. Use the other side of the cloth to take the solution off. CV-2 solution goes on. It’s viscous like water, so it soaks into the applicator. Just put it on like a coat of paint. Wait for it to dry, then the second coat of the same CV-2 goes on. The cutoff hasn’t improved dramatically, but the visibility is amazing on low and high ranges. Bilal Qureshi is a contributor at PakWheels Blog. He enjoys hastily unplanned road trips, lively go-kart sessions, driving his childhood dream cars, and watching Ayrton Senna Youtube videos.